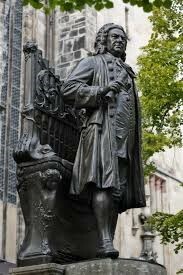 Dr Marc's Blog: Is Bach Relevant? Keep the comments rolling in, but remember this is an argument not a belief. Note also that I put my name to it, so please do us the courtesy of putting your name to your comments. It is the ultimate act of the ignorant to hide behind the cloak of anonymity Your comments thereby deserve no consideration or reply. You object to the questions above because they are anonymous. I think they are good questions, and I think you are a good thinker/writer about music so I'd like to hear your answers. I am not anonymous, so I am not ignorant to ask these questions. Will you consider and reply ? Thank you for your help. If you have a question, do please ask it. The blog gets overwhelmed by anonymous comments so these are deleted as a matter of course; it's not that I don't think they are worth answering, but I do need to know whom I am addressing! Dr. Rochester, I've been a big fan of your blog for some time. This is my first comment, as this is perhaps the most interesting post I've read of yours to date. You referenced Bach's cantatas - what about his pedagogical pieces? You mentioned them in passing, but I would like to hear your thoughts on those pieces with respect to the rest of your post. I am speaking of the pieces commonly studied by piano students - Inventions, Sinfonias, Suites/Partitias, and of course the Well-Tempered Clavier. Thank you for writing and reading - even though I don't know who or what you are!! It's worth noting your use of the word Pedagogical. That in itself implies these were never intended for public performance. On top of that, we know that many of them were assemblages of earlier pieces and never ever intended to be performed in public as entities in their own right (that is also the case with the "Brandenburg" concertos). And, of course, since they are assigned no specific instrument (clavichord, harpsichord, piano, organ, guitar, lute, harp???) we cannot begin to know what Bach expected them to sound like. My personal belief is that those works which were published were largely intended to be read, not played. I don't know why my comment showed up as "Unknown". At any rate, I'll introduce myself. As for the "who," I am Austin Rogers, PhD. As for the "what," I am a music teacher, primarily focused on piano and theory. > "we cannot begin to know what Bach expected them to sound like"
To me, that's part of the charm of these works, and what keeps them fresh and relevant. Regardless of instrumentation, many of those works are absolutely brilliant. My idea of a good time is picking apart a fugue from the WTC and marveling at Bach's genius. The cantatas, masses, and religious works, on the other hand... I just can't relate to them. There's a language barrier, a bigger cultural barrier, and an even bigger religious barrier. I suspect more and more people will have trouble relating to those works as western culture gets more and more secular. The Coffee Cantata, on the other hand... that's something I can really get behind! What do you mean when you say Bach's music is or is not relevant ? I can listen to music and say whether I like it or not, but what would be the criteria by which I would assess its "relevance" to me (or to someone else, or to audiences today) ? A good point. But should we diminish the original function of music merely by defining it through our own 21st century tastes? Music is more than sound, and my thoughts are that unless we appreciate that - unless it has some relevance to our existence beyond giving us a short-term fillip - we are in danger of losing one of the precious art forms which defines human civilization. Thank you. I understand the point you are making and your suggestion that something beyond merely sounding nice is needed. But you used the term "relevance " again in your explanation. What do you mean by this expression ? What properties are you referring to that would make music relevant to a listener ? By relevant, I mean that we find something in this music which speaks to us in our time and lives; something more than just the noise it makes. Is the essence of Bach's original still something we can recognize and understand today? What you describe, although still in metaphor, seems to be a subjective response - it is relevant if it speaks and means something *to me*. The title of your article "is Bach relevant " suggests something objective, otherwise the answer would simply be "as long as I (or somebody somewhere) hears something in it, then yes". But that's not what you meant was it ? My blog posts (like almost everyone else's) are wholly subjective!! I commit to print my objective researches.